The Official Rugby World Cup 2011 Mobile App is now available to download for free for Blackberry, PlayBook, iPhone, iPad, Android and Windows Phone 7. Available in English, French and Spanish, it is the best way to stay in touch with all the latest action and news from Rugby’s showcase event. Users can follow all 48 matches on their device with live match text commentary and score updates, half time and full time video highlights, Tournament news, statistics and much more. 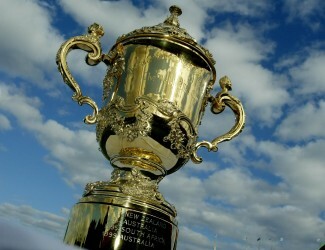 For fans attending the world’s third largest sporting event the Rugby World Cup 2011 App is the perfect Tournament companion and in addition to exclusive match content, the App will also provide a rolling calendar of events for festival activities in New Zealand and will even locate the events that are nearest to your location. For the first time this year, alongside the climax of the 2011 Rugby World Cup, the World Sport Tourism Congress will take place on the luxury cruise ship – the P&O Pacific Dawn – and will comprise of four days of inspirational panel debates, leading-edge presentations and priceless networking opportunities, all conducted whilst cruising in style around New Zealand’s beautiful Bay of Islands. The fully-inclusive cruise package departs from Queen’s Wharf, Auckland on October 10th, returning on October 14th in time for the Rugby World Cup Semi Finals. Themed “Sharing the Sport and Tourism Boom”, WSTC presents an opportunity for network and engage with industry’s elite, gain invaluable insights from the world’s leading experts and meet face-to-face with the key Sport Tourism buyers as deals are brokered for future sporting events. Confirmed speakers include: Jeanine Pires (Minster Special Advisor, Rio 2016 Olympics & former President, Embratur), Geoffrey Lipman (Advisor to Secretary General UNWTO), Campbell Jamieson (Commercial Director, International Cricket Council) and Darren Mee (COO, TUI Travel PLC, Specialist & Activity Sector). The delegate rate of £950 will include access to all sessions on the WSTC programme, four nights accommodation on board the P&O Pacific Dawn, as well as exclusive VIP receptions and gala dinners, as the ship cruises around New Zealand’s North Island.